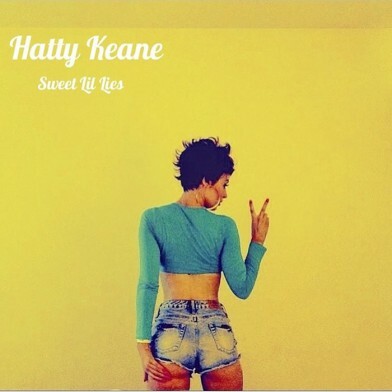 Hatty Keane returns with Sweet Lil Lies, her seductive new single that’s already been well received by clubs across the UK. The Single is currently sitting at Number 6 in the urban club charts. Fresh from dropping the mixtape ESO, Hatty looks to end the year as positively as she began it with a genuine, heartfelt tune that doesn’t compromise its intensity or its club-friendly credentials. Sweet Lil Lies is bolstered with a number of energized remixes by London producer Driftathat, paying tribute to various stages of UK dance music culture, with Drum & Bass and Garage variants, as well as referencing the US Trap and EDM movements. Hatty has also recorded the single for the upcoming Boohoo Christmas Campaign, which will be broadcast nationwide from the middle of November. Set for release on November 4th, Sweet Lil Lies is available to pre-order on iTunes now.